During the Ridgeview High vs. West High baseball game, both teams decided to come together to make Ridgeview High's Marvin Castaneda's dream come true. 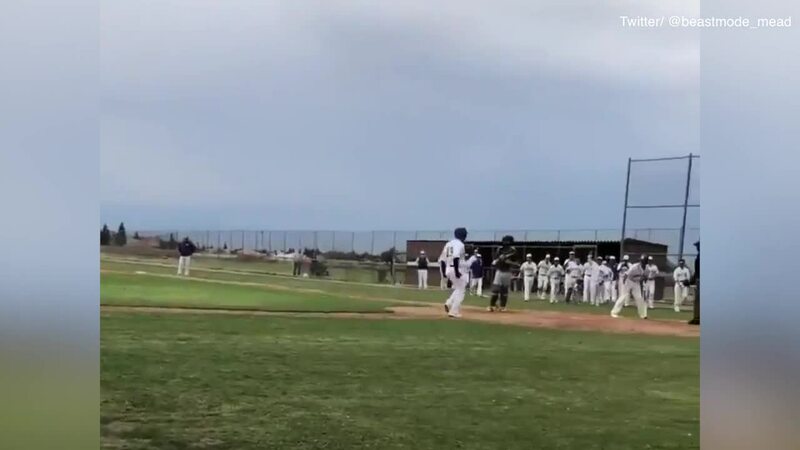 BAKERSFIELD, Calif. — A Ridgeview High School baseball player's dream came true during Thursday's game against West High School when he scored a home run. Before Thursday's game, Ridgeview High coaches told the coaching staff for West High School that one of their players, Marvin Castaneda, has special needs. The Ridgeview coaches told West High Castaneda's dream was to play in the game. The two teams decided to make that dream come true. During the bottom of the 6th inning, Castaneda was able to connect for a hit and scored on an inside-the-park home run.